The Danish maritime service company, VMS Group, is appointed the new authorized sales and service partner for the gear products of Baker Hughes, a GE Company, (BHGE) to service the marine industry in Denmark, Norway, Sweden and Finland. BHGE, the world’s leading gearbox design and engineering innovator, has added in their portfolio the technology and expertise of the well-known brands of Lufkin and Allen Gears. Both Lufkin and Allen Gears have been offering highly reliable, custom designed power transmission solutions for the global marine industry since the middle of last century. VMS Group and its certified and skilled technicians, in close cooperation with BHGE, offer these custom engineered marine gear drives to meet the exact requirements of maritime customers throughout the Nordic countries. – We need strong channel partners with a solid reputation in each market. Thus, we have appointed VMS Group as our Nordic authorized sales and service partner for the marine industry, says Rob van Solingen, Product Manager – Marine, BHGE. VMS Group has already received the first order from a Norwegian customer; six shipsets of customized gearbox pairs to be delivered in 2019 and 2020. Allen Gears focus on light weight vessels such as military vessels and luxury yachts and produce high-speed, high-power gearing solutions specializing in “epicyclic” gears that are lighter, more compact and typically have a higher power density than the traditional parallel shaft gear systems. Epicyclic gears can be used in marine applications to provide smaller footprint and can also be used in combination with parallel shaft gears to provide large ratio reductions to minimise both footprint and weight. Allen Gears comply with strict navy specifications for noise and vibration and shock proof requirements. In Scandinavia, BHGE has provided the Danish, Norwegian and Swedish navy with Allen Gear, including the Visby Class stealth corvettes of the Swedish Navy, supplied in 2002, as well as the main propulsion gearbox for Skjold Class prototype of the Royal Norwegian Navy, supplied in 1998. 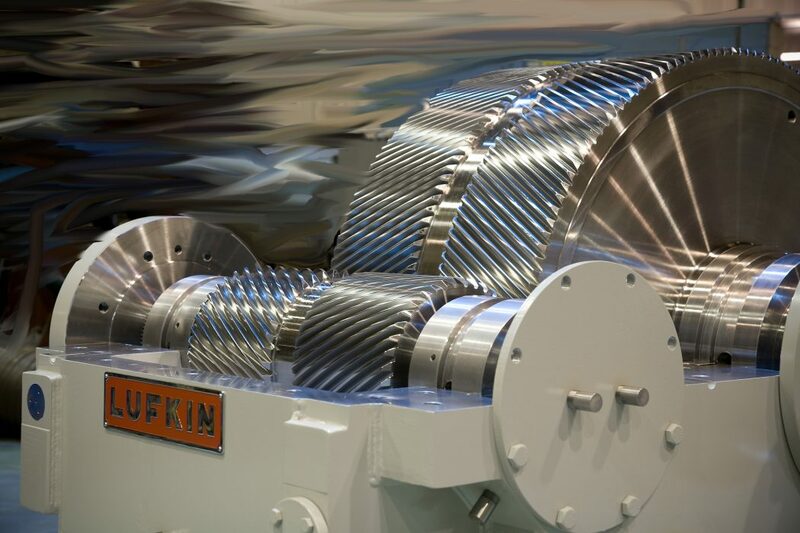 As for the Lufkin Gears, they offer a rugged and robust transmission solution with unparalleled reliability as well as custom designed solutions with drop in replacements. The Lufkin Gears are focused on heavy duty solutions in a broad range of vessels from tugs, workboats and dredging to cargo vessels, ferries, offshore industry and fishing boats. VMS Group A/S is based at the port of Frederikshavn, Denmark. The company covers all aspects of service, such as repair and maintenance, spare parts delivery, sales of complete propulsion systems as well as engineering projects within the maritime industry and the offshore industry. In addition to VMS Group A/S in Frederikshavn, Denmark, the group consists of VMS do Brasil in Rio de Janeiro, Brazil, and VMS-GSB in Ålesund, Norway. VMS Group and affiliated companies employ approximately 180 employees. Since May 2016 VMS Group is the authorized channel partner on GE’s innovative non-SCR diesel engine series L250 and V250. – The agreement with BHGE fulfils the strategy of VMS Group to let our customers get the full benefit of the synergies and strengths of a full-service company from first inspections to the final commissioning, says Kim Rasmussen, Chief Commercial Officer at VMS Group.